CONGDON, Timothy George of Huntley, Gloucestershire, CBE. Arms, Crest and Badge. Garter and Clarenceux Kings of Arms. 24/12/2012. College reference: Grants 176/8. CRAIG, Sebastian Daniel Forsyth, of the London Borough of Haringey. Arms and Crest. Garter and Clarenceux Kings of Arms. 22/1/2012. College reference: Grants 176/341. DEAN, Letitia Ann, of Broughton, Lancashire, DL. Arms. In same patent to her husband John Robert Dean: Arms and Crest. Garter and Norroy and Ulster Kings of Arms. 31/10/2012. College reference: Grants 177/34. GRAYDON, Sir Michael James, of Swinderby, Lincolnshire, GCB, CBE. Arms, Crest and Supporters. Garter and Clarenceux Kings of Arms. 3/12/2012. College reference: Grants 177/57. JEFFCOCK, Sarah Fenella Home, of Castletown, Isle of Man. Arms and Crest to be placed on a monument or otherwise displayed to the memory of her late father Edward Vernon HINDE of Kirdford, West Sussex; and to be borne by her and by the other descendants of her late father. Garter and Norroy and Ulster. 11/9/2012. College reference: Grants 177/37. Arms: Azure a Squirrel sejant erect holding a Sprig of Indigo slipped leaved and flowered within an Orle Or. Crest: Upon a Helm with a Wreath Or and Azure On a Bag of Madder fesswise Or bound Azure a Squirrel sejant erect Or holding a Sprig of Indigo slipped leaved and flowered proper. Mantling: Azure doubled Or. MORGAN, Marilynne Ann, of Aston Sandford, Buckinghamshire, CB. Arms. Garter and Clarenceux Kings of Arms. 8/2/2013. College reference: Grants 17/28. NEUHAUS, Matthew Ernest Keith, of Bundanoon, State of New South Wales, Australia. Arms and Crest. Garter, Clarenceux and Norroy and Ulster Kings of Arms. 22/11/2012. College reference: Grants 176/345. PERRY, Sir Michael Sydney, of Alfrick, Worcestershire, GBE. Arms, Crest, Badge and Supporters. Garter and Clarenceux Kings of Arms. 1/11/2012. College reference: Grants 176/317. PRICHARD, David Robert, of Tregarth, Gwynedd, OBE. Arms and Crest. Garter and Norroy and Ulster Kings of Arms. 6/8/2012. College reference: Grants 176/328. RUDDOCK, Sir Paul Marlin, of the Royal Borough of Kensington and Chelsea, Knight. Arms, Crest and Badge. Garter and Clarenceux Kings of Arms. 1/3/2013. College reference: Grants 177/53. SINGH, Sir Rabinder, of Letchworth Garden City, Hertfordshire, Knight. Arms, Crest and Badge. Garter and Clarenceux Kings of Arms. 31/1/2013. College reference: Grants 177/26. WAVAMUNNO, Gordon Babala Kasibante, of Kampala, Uganda. Honorary Arms, Crest and Badge. Garter, Clarenceux and Norroy and Ulster Kings of Arms. 16/8/2012. College reference: Grants 176/313. WEBB, Clifford Reginald, of Pyrford, Surrey. Arms and Crest. Garter and Clarenceux Kings of Arms. 19/12/2012. College reference: Grants 177/14. The Heraldry Society: Sir Henry Paston-Bedingfeld, Norroy and Ulster King of Arms, was the guest of honour at the Biennial Dinner of this society, held at Armoury House, headquarters of the Honourable Artillery Company in London, on 3 October 2013. Receptions in New York: on 10 October 2013 Sir Henry Paston-Bedingfeld, Norroy and Ulster King of Arms, attended a reception arranged by the College of Arms Foundation in his honour at Christie's in New York, USA. A display of armorial silver and porcelain was also enjoyed by the guests at this event. On 15 October 2013 Sir Henry was presented by the New York Genealogical and Biographical Society with its Medal for Heraldic Achievement. On that occasion he addressed the society on the subject of the many heraldic designs developed by him during his long career as an Officer of Arms. Who Do You Think You Are? Live 2014: this significant genealogical and historical exhibition at Olympia, London will be open 20-22 February 2014. 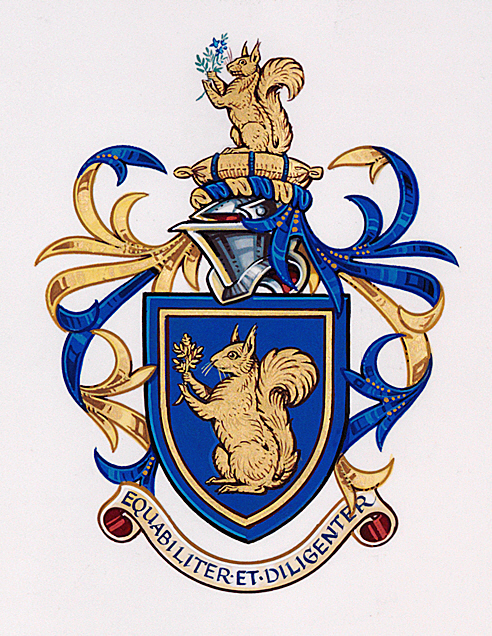 The College of Arms will be present to offer advice about heraldry, genealogy and related areas. The John Brooke-Little Lecture: this annual lecture to the Heraldry Society named in honour of John Brooke-Little, CVO, sometime Clarenceux King of Arms, takes place at the Society of Antiquaries, London on 15 January 2014. David White, Somerset Herald, will speak on 'The Arms of Wellington and the Wellesleys'. 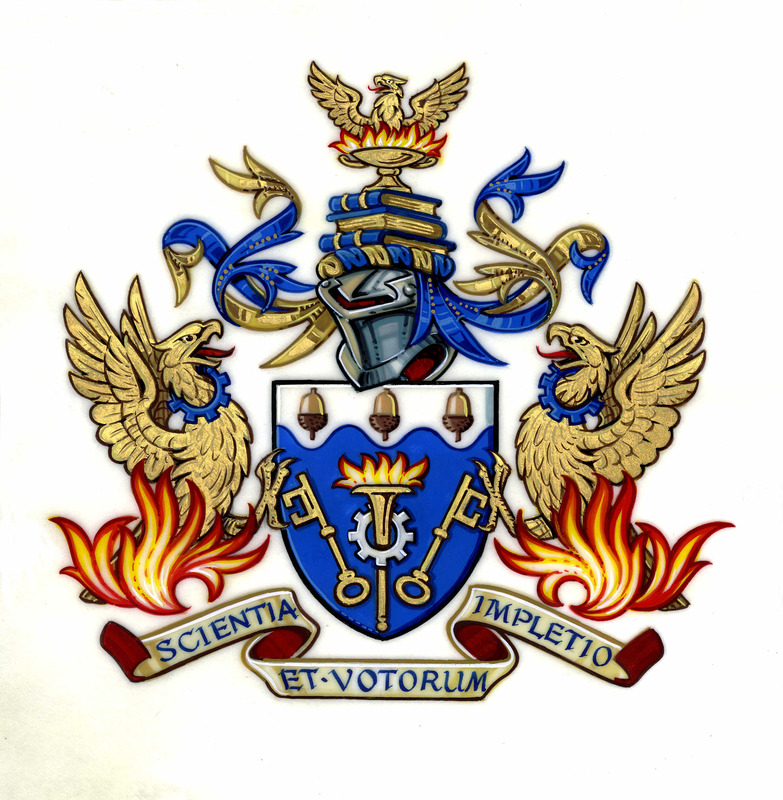 Cambridge University Heraldic and Genealogical Society: Peter O'Donoghue, York Herald, will deliver the annual Mountbatten Commemorative Lecture to this society on 13 February 2014, on the subject of the College of Arms in the Second World War.